The following is an excerpt of my upcoming book Charismactivism, due to be published later this year by Ettelloc Publishing. The Protestants of the 16th century were far from the first who protested against Catholic errors and heresies, but this movement was the first one to escape being totally quenched by inquisitors and grow to a big, substantial size so that it was clear once and for all that Catholics and Orthodoxs didn’t have monopoly on the name of Jesus. This was primarily because unlike most previous Christian rebels, Martin Luther (1483-1546) and John Calvin (1509-1564) did not question the state-church system — on the contrary they endorsed it! Thus, many Protestants weren’t persecuted; they persecuted others. Furthermore, while prophetic, charismactivist movements demanded believers to take discipleship seriously and actively seek holiness, Luther’s hostility towards works made it quite easy to be a Christian in his church. Reformers like John Wycliffe (1331-1384) in England and Jan Hus (1369-1415) in Bohemia (which is now the Czech Republic) had already protested against Biblical ignorance, papal fundamentalism, ecclesial luxury, and indulgences. The latter refers to golden tickets to Heaven that you had to buy in order to decrease time in your or your loved one’s painful purgatory chamber, the existence of which was questioned by Wycliffe since it isn’t mentioned in the Bible. Wycliffe translated the Bible into English, and Hus translated some of Wycliffe’s writings. The Catholics burned Wycliffe’s books, and Hus’ living body. The pope initiated not less than five crusades against Hus’ followers in Bohemia, which they violently countered in the so-called Hussite wars. Originally published at Jesus Army. Andreas Ehrenpreis is not a well-known name in church history, but what he managed to do is truly astonishing. 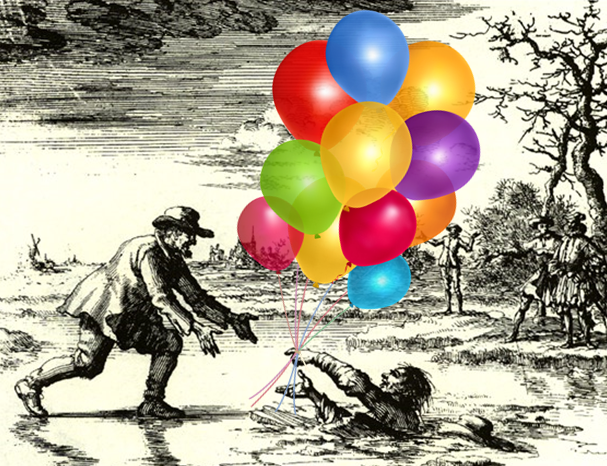 Born 1589 in Illingen, Germany, Andreas was brought up as an Anabaptist – a persecuted, radical Christian movement that emphasised faith, peace and justice. At seven years of age, his family joined a Hutterite community in Morovia, modern-day Czech Republic. The Hutterites had been founded by Jakob Hutter (1500-1536) as a church that believed that community of goods is something all Christians should practice. However, as Andreas Ehrenpreis was commissioned as a minister of the Word in 1621, things had changed drastically. Jesus and the apostles were not just focusing on how to include as many as possible in the church through evangelism, but also on how to exclude unbelievers, heretics and sinners who refuse to repent. If we want healthy churches today, we have to start talking about who we should exclude from our midst. When lots of disciples left Jesus because they couldn’t understand his teaching on eating flesh and drinking blood, He let them go and checked if the apostles would want to go as well (Jn 6:67). He later taught them that sinners should be excluded from the church if they refuse to repent and ask for forgiveness, they should then be viewed as pagans (Mt 18:15-17). Should Christians be Conservative or Progressive? No. September 12, 2015 11:47 am / 1 Comment on Should Christians be Conservative or Progressive? No. 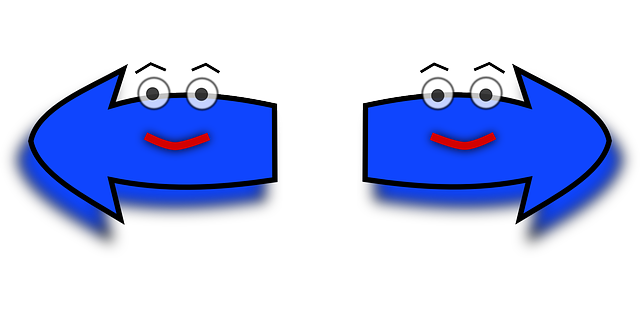 Left-wing or right-wing? Why not upwards! There are many problems with the dualist expressions “conservative” and “progressive”, and this political discourse should be left out of the church altogether. As you may know I’m part of a vlog series hosted by MennoNerds, and about two weeks ago I responded to a question in our MennoNerds Facebook group on why some Bible-believing Christians support Donald Trump. My answer was that such Christians are similar to pharisees; paying attention to some Bible passages but not those which emphasize love and giving money away. Today is the 490’s birthday of Anabaptism, the radical, biblical, pacifist and restorationist Christian movement that consists of millions of Jesus believers around the globe, including me. You may have heard my little song about what Anabaptism is already but it won’t hurt to listen to it again, eh? 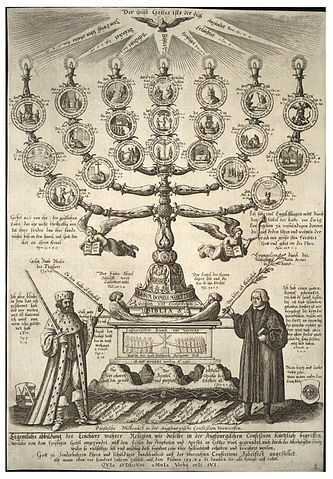 So here’s the story about how Anabaptists came to be. The 16th century Protestants were far from the first who rebelled against the Catholic church and its unbiblical teaching, but they weren’t as radical as the Hussites or Waldensians had been. In fact, neither Luther nor Calvin wanted to restore the Biblical church completely but rather, they argued that Biblical practices they didn’t like had “ceased” (I talked about this two posts ago). They had no problem with unbiblical practices like the state church system, though. Luther and Calvin are called magisterial reformers because they didn’t want to separate the church from the state but, on the contrary, relied on the secular state powers to liberate themselves from Rome. 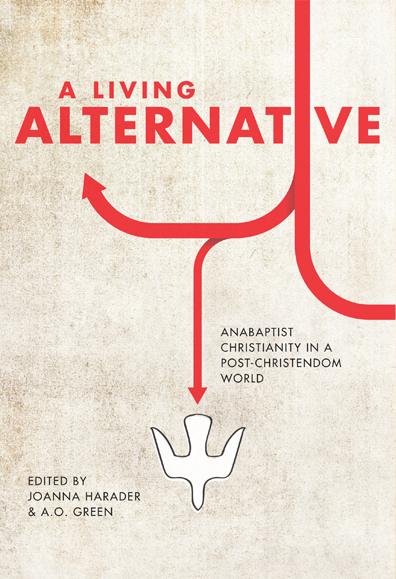 In this video, I present my chapter “Charismatic Anabaptism: Combining Signs and Wonders with Peace and Justice”, which is included in the new anthology A Living Alternative. In the chapter I argue that Christians should use the miraculous gifts of the Holy Spirit in order to promote nonviolence and economic equality. To defend this thesis, I use the Bible, church history as well as modern testimonies. The church historical part can be a bit mind-blowing to some – not many Anabaptists know that their movement initially was very charismatic, with an emphasis on prophetic visions, healing and miracles. Likewise, most Pentecostals and charismatics are unaware of that the early Pentecostals were pacifists and criticised capitalism. Even though they are hardly connected historically, early Anabaptism and early Pentecostalism were extremely similar, which I interpret as the work of the Holy Spirit, whom both movements wanted to be influenced by. I’VE WRITTEN A BOOK chapter! 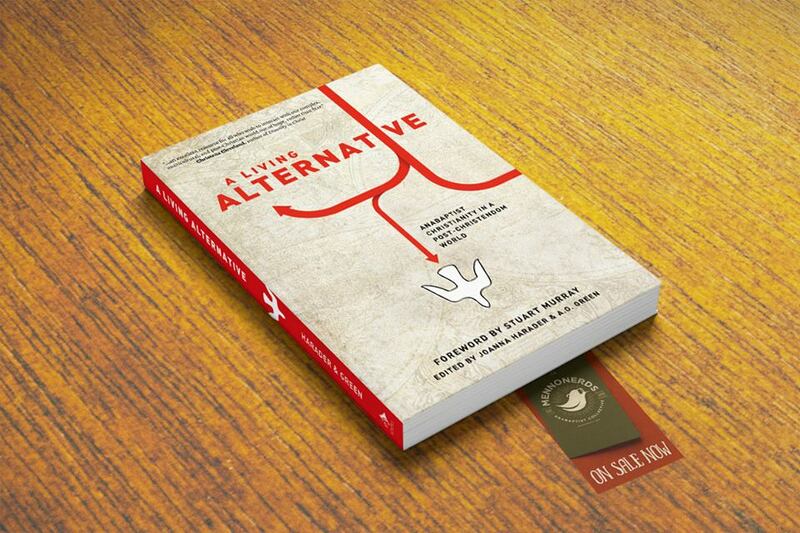 The book is called A Living Alternative and it is awesome. Together with 19 other Anabaptists, I write about why ANABAPTISM is amazing! “Ana-whaaat? !” you may ask, but watch this video and you will learn everything you need to know about Anabaptism through my epic song skills. For more info about the book and how you can get it, go here. And if you like my YouTube videos, subscribe to my channel here. Bless you! The world is poised to receive the wisdom of the Anabaptists. We are fat with consumerism. We are tired of war. We are hungry for community. We need an excuse to slow down, turn off the noise, and simplify our lives again. For many of us, progress has also meant disgress. This chorus of wise voices will stir you to imagine what it means to be the peculiar people of God in the 21st century. Even though I’m not an Anabaptist by chosen label or tradition, I found so much richness and truth in this book. Deep, challenging, prophetic and conversation-starting, I loved A Living Alternative. If you’ve wondered what your life would look like if you really lived like Jesus, this book will give you an accesible theological foundation for the practical living out of your discipleship particularly in a post-Christian context. In this splendid collection of essays readers will find a wonderfully diverse group of people wrestling with an amazingly diverse set of issues sorrounding what it means to be a faithful follower of Jesus in a post-Christendom world. Perhaps even more importantly, in each of these essays readers will sense the refreshing vibrancy and beauty of the kingdom vision that has captured the imaginations of these authros, and this can’t help but pull readers further into this vision. So, whether you already identify with this kingdom movement or don’t yet know what I’m even talking about, I’d like to challenge you to thoroughly digest this book! Sounds good, right? My chapter is about combining signs and wonders with peace and justice, Deborah-Ruth Ferber covers singleness, Drew Hart writes about anablacktivism, and so on. You can get the book at American Amazon or British Amazon if you’re interested, and my dear Swedish countrymen and -women can get it on Adlibris. Peace out! A few days ago, the Anabaptist blogging network MennoNerds, which this blog is a part of, arranged a webinar called Race, Mutuality and Anabaptist community. It was all recorded via Google Hangouts and can be watched in the video above. Unfortunately, I wasn’t able to join the discussion live since time here was around 2 AM, but we MennoNerds now have a chance to contribute to the conversion via our blogs, which is what I’m doing right now. Christianity is a Middle Eastern religion and for the first 300 years, most of the important theologians (the so called “church fathers”) came from the Middle East, Northern Africa and what is now Turkey. The present churches in for example Egypt, Syria and Ethiopia have survived since the time of the apostles. But since the Western Catholic church distanced itself from and condemned the eastern and oriental churches, the experiences, stories and theology of non-white Christians became peripheral. To this very day, it is common among Western Christians to identify themselves with and be inspired by Christian streams from Western Europe: Catholicism, Anglicanism, Calvinism, Lutherism, Anabaptism, Quakerism, Methodism, Salvationism, Baptism, and so on. It gets increasingly problematic when people of European descent expect other people to submit to these European interpretations of the teachings of Jesus when they are born again, i.e. asking them to become “Lutherans” or “Anabaptists”. Don’t get me wrong, I love Anabaptism and identify myself with the movement, and I think that people like Drew Hart does an excellent job in outlining “Anablacktivism” and interpreting the Anabaptist message about justice and peace from an African-American perspective. Truth is that all of the church streams I mentioned above are global today – Catholicism is biggest in Latin America which their Argentinian pope signifies, Anglicanism is bigger outside England and the biggest Lutheran denomination in the world is Mekane Yesus in Ethiopia. These voices need to be recognized and influential within these church streams. Yet, we cannot get away from the fact that if you want to get to the roots of the movement, as A.O. Green likes to do, you’ll have to read what a bunch of white, European men wrote. And that’s a bit boring, isn’t it? As many of you know, I am glad to be a part of the MennoNerds network, an international blogging community made up by people who are nerdy about Mennonite and Anabaptist theology. The Anabaptists were the central figures in the radical reformation during the 16th century. While Luther and Calvin opposed Catholic teaching they still wanted to kill people and were opposed to freedom of religion. Anabaptists however both criticized Catholic teaching and the Catholic church model when one baptizes entire countries, gather people in cathedrals and kill those who don’t agree with you. 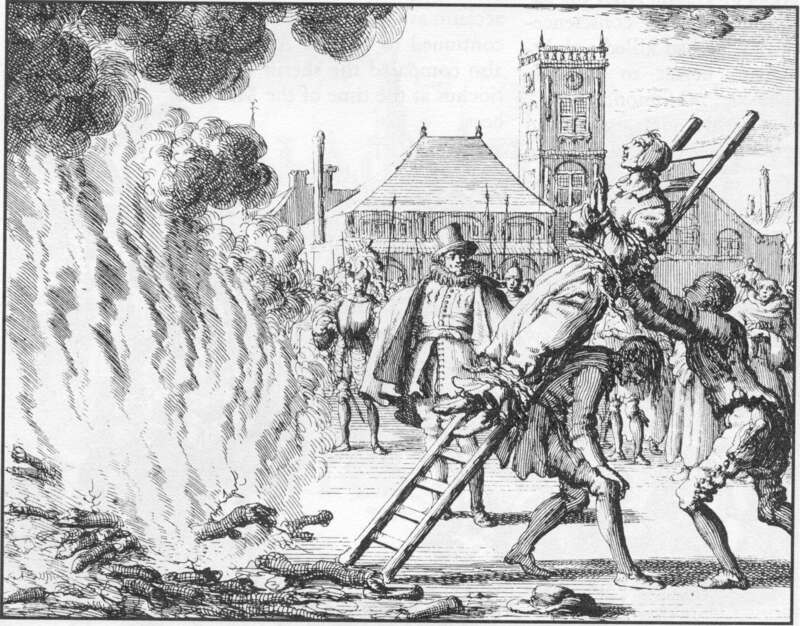 The Anabaptists were of course persecuted and killed both by Catholics and Protestants. However, some survived and can today be found in three main groups: the Amish who dress funny and live environmentally friendly, the Hutterites who dress funny and have everything in common, and the Mennonites who dress boringly and write blogs about Anabaptism. Jesus Centered– Jesus stands as the lens by which Anabaptists read the entire Bible, and the exemplary by which we engage all theology. Agents of God’s Shalom – Anabaptists are pacifists committed to non-violence, but not only do we want an absence of war but also a presence of Shalom, justice and harmony. First, each restorationist movement, although it seeks to return to the ancient church of the apostolic age, is actually produced as a reaction to the circumstances of its own age and culture. For example, the peasant movement of the Bogomils came out of a church weighed down with corruption and aristocratic influence. The radical reformers in 16th-century Europe and the New World were influenced by the utopianism, the rise of the nation state, and revolutionary spirit of their age… Restorationists believe they are restoring something ancient. In fact all they do is create an expression of Christianity which is a reaction against the circumstances and assumptions of the age in which they live. Well, I know of no restorationist movement that claims that we need to speak Arameic and live in the Roman Empire to be the original church. All churches adapt the Gospel to their culture and historical context – including the Catholic Church. It’s hard to argue though that since we need to adapt to our culture we need to believe in purgatory and seven sacraments. Second, while restorationist movements are reactions to the particular age in which they live, they are also conditioned by the long history of restorationist movements. For hundreds of years, Protestants have perpetuated a particular vision of the early Church. Each new restorationist movement borrows those ideas, never questioning whether the tradition they are inheriting is actually true to the reality of the early Church or not. Therefore, the restorationist doesn’t so much restore primitive Christianity; he simply replicates are earlier restorationist model, reproducing what he has been told early Christianity was like. It’s true that some restorationists are lazy, not double-checking their doctrines and practices by Scripture, but the same thing can definitely be said about Catholics. For example, they believe that there are seven sacraments – neither more nor less – an idea that originated with Peter Lombard in the 12th century! All restorationist movements at least try to break unbiblical traditions and restore biblical Christianity, Catholicism however is not even trying. As some of you know, I am proud to be a part of the awesome MennoNerd blogging network, a bunch of bloggers that identify themselves with anabaptism, the radical reformation in the 16th century that wanted to go back to the Biblical roots in a better and more radical way than Luther, Calvin and Zwingli. Unlike these mainline protestants, the anabaptists rejected violence and war, they argued that people should choose to follow Christ and not be baptized as infants, they protested against the state-church system and eagerly desired the supernatural gifts of the Spirit in a time where most protestants were cessationists. I come from a charismatic stream of Christianity. Most of the churches I have attended or been a member of have openly believed in the active presence of the Holy Spirit (the “Wild Goose“), a very personal relationship with Christ, faith healing, and active worship. 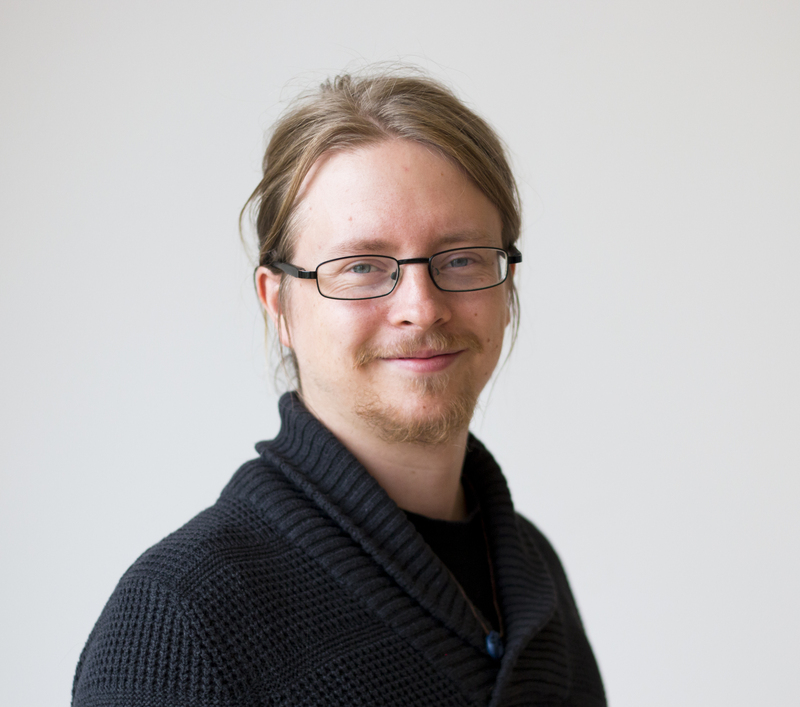 This background developed in me a deep respect for religious experience, but unlike a stereotypical charismatic, I was quiet and contemplative, which caused me to develop a deep respect for the monastics, mystics, and Quakers. For the longest time, I had no idea I was part of the Charismatic movement (I was not really aware of the theological labels), but my background continues to influence me. I wish I could add something more, but I really think Arnold says it perfectly. Spirit-filled faith is part of a long prophetic tradition going through many individuals and communities—the Hebrew prophets, early Christians, medieval mystics, “spiritualist” Anabaptists, Quakers, Pentecostals, and many others. 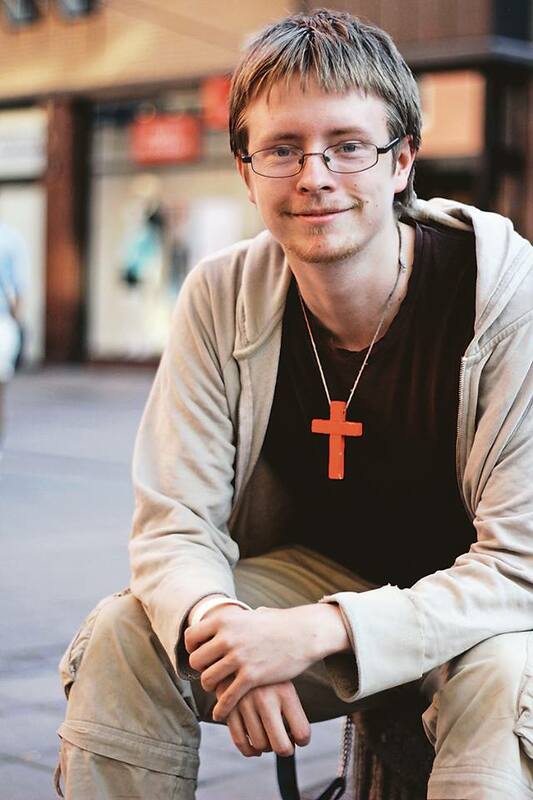 I was raised in the Lutheran Church of Sweden, the biggest church in my country, formerly state-church, with around seven million members of whom 85 % according to a recent poll don’t believe in Jesus. When I was saved in 2006, Martin Luther was one of my spiritual heroes. As I read the Scriptures and compared it to Catholicism I realized that they had added a lot of stuff that Jesus and the apostles never talked about, and I thought Luther was one of the first to realize that and to resurrect the original Gospel. Arguing that Scripture should be the only source to theology and pointing at Paul’s emphasis on justification by faith and grace, he criticized the unbiblical Catholic indulgence and several unbiblical doctrines. I thought Luther was awesome. As I learned more about Luther and Lutheranism however, I started to realize that perhaps he wasn’t entirely biblical either. In fact, he changed the order of biblical books according to his personal opinion, placing the letter of James, one of my favourite biblical books, last because it didn’t make sense with his interpretation of sola fide. And he was a quite violent man, justifying wars, capital punishment, persecution against Jews and execution of Anabaptists. In fact, as I discovered the existance of Anabaptists and their radical, pacifist Jesus-centered theology, I realized that Luther was not the only one protesting against Catholic errors, and far from the best. How rude of me, I’ve let you reading my blog for 18 months without ever introducing myself! Here’s a short presentation of how and why I received my passion to combine charismatic theology with activism for peace and justice, based on an article I’m currently writing for Pax Pneuma, the journal for Pentecostals and Charismatics for Peace and Justice. Although being raised in a Swedish Lutheran family, religion never meant very much to me until April 2006, when I was radically born again at a mass in the giant Uppsala Cathedral. I started to pray and read the Bible, and I was fascinated by how the liturgy of my church – that previously was nothing but a bunch of pointless, boring rituals for me – had ancient roots filled with holy meaning. But I also started to spot differences between church and Scripture. I was surprised that Jesus commanded His disciples to heal the sick and raise the dead (Mt 10:8) – something I had thought were things only Jesus Himself did to prove that He was the Son of God – and I was even more surprised to realize that I was a disciple (Mt 28:19)! “Disciples” was a term that I had thought only referred to the twelve men closest to Jesus, not people today. Now I realized that I was actually supposed to do the things Jesus commanded the apostles to do (Mt 28:20a). Yet, people weren’t prophesying or casting out demons very much in my Lutheran church, so I started to attend some charismatic and Pentecostal churches. As I grew deeper into the charismatic movement, I saw some differences between church and Scripture here as well though, specifically when it came to peace and justice.